What prompted you to seek Webs Training Services? What situation/problems did you have? Duresta/Sofa Brands have used Webs for over 40 years. This proven track record that has worked through combining skills training, Ofsted inspected functional English and maths, and work placed learning has enabled young workers to develop into valuable employees. This has, over the years, helped re-energise our business in an ever competitive market. Why did you specifically select Webs Training for your company? Duresta/Sofa Brands selected Webs for our training because of the location and investment in the upgraded workshops and facilities. The training provider has grown over the years to become more highly skilled, not only through the modern state of the art training facilities, but also through the quality of its staff. What made you believe that Webs Training was the best for achieving your end results? Webs have been a great help in filling the skills gap that has developed over years due to the lack of focus on British manufacturing. They have been extremely valuable in the area of literacy and numeracy particularly. These skills are essential in any modern workplace and without Webs’ support this would be an ongoing restriction on the quality of our services and products. What exactly did Webs Training do to contribute to the outcome you wanted? Working with Webs training allows a two way specific training program to be developed. This not only has enriched our workforce but allowed direct focus on the area within the business that needed new and young employees. 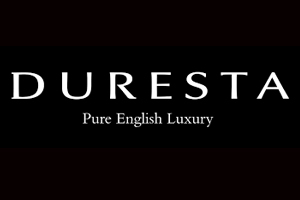 Duresta/Sofa Brands for example needed to fill vacancies due to several employees retiring after many years of service within the group. Working with Webs has enabled us to select the appropriate candidates, focus training, and deal with any requirement on a professional basis with an open relaxed dialogue. What are the two most significant improvements that have resulted from your work with Webs Training? 2. Their help with the recruiting process has improved candidate selection. Through discussions about what we need for our business Webs has helped prevent the difficulties that can arise when an appointment is the wrong fit for either party. If a potential employer was sitting on the fence about whether to work with Webs Training or not, what would you say to them? Webs is a long established training provider that offers government sponsored and approved apprenticeship programmes. They offer a wide range of apprenticeships in the manufacturing field giving the employee a level 2 or 3 NVQ qualification within a 2/3 year period. This training can be tailored to fit the employer’s needs by allowing trainees to either receive training in blocks or on a 1 day per week basis. Webs have been a great help in filling our skills shortages with young apprentices and advancing the skill set of current employees. Working with Webs has enabled us to select the appropriate candidates, focus training, and deal with any requirement on a professional basis.